Home Use Treadmill M-1000 with manual incline with 1 led window Panel. This Machine having Power full Drive with Heavy motors with low electricity consumption. 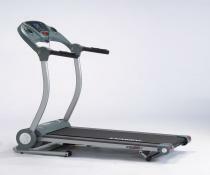 The parts used in Domestic Treadmill M1000 is hi tech and powder coated frame .